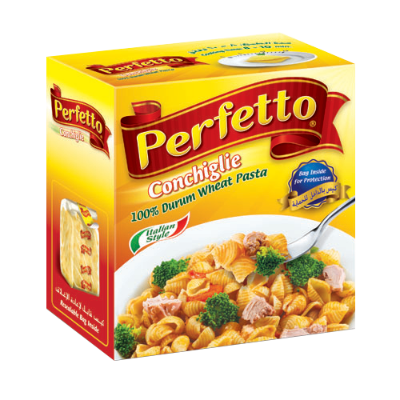 From the rich fields of golden wheat we offer you Perfetto. We have prepared it from premium semolina wheat that is embellished a unique golden color. Perfetto is considered a labour of love for Basamh Industrial Company; with a long and rich history that spans over generations. 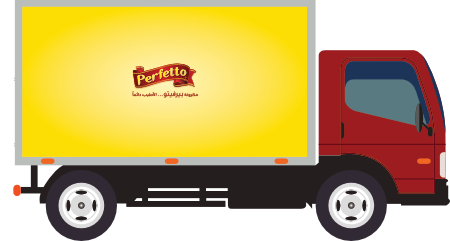 Established in 2010, Perfetto quickly became a family favourite across the Kingdom of Saudi Arabia. 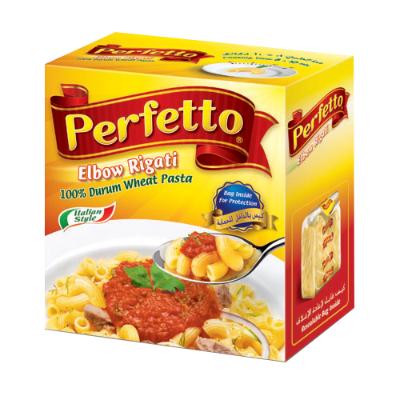 Since its release Perfetto has risen to a great prominence in the pasta industry, achieving record sales and producing over 25 different shapes and cuts of pasta. 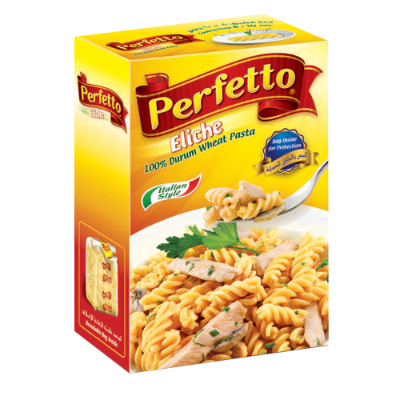 With Perfetto indulge in the taste of authentic Italian meals with a wide selection of high quality pasta. Our mission is to provide you with pasta of international standards by using fresh ingredients, golden durum wheat from rich fields and the latest state-of-the-art manufacturing process.  Perfetto believes that family is at the heart of everything we do. That is why it comes in a diverse selection of pasta shapes to help you maintain a strong family bond by providing delicious Italian meals that the entire family can enjoy. 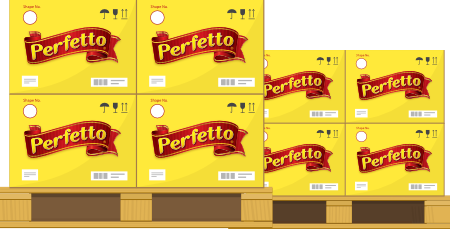 Quality ingredients and manufacturing are the cornerstones of Perfetto. 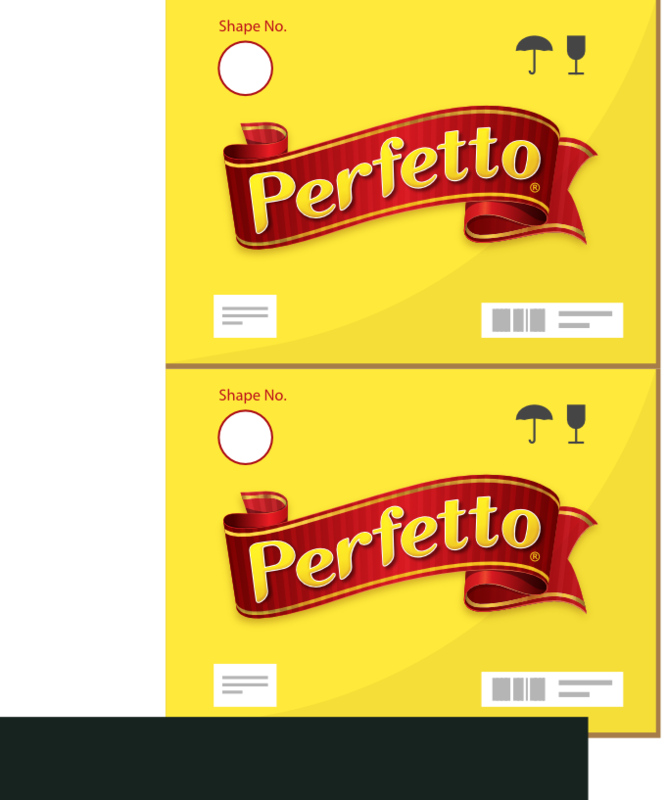 To ensure that the quality of the pasta is always maintained, Perfetto supplies their pasta in a double layered package. 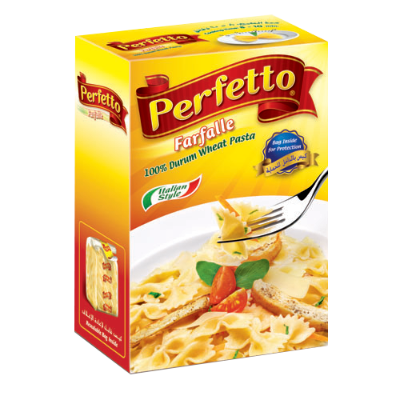 As the saying goes variety’s the very spice of life and with over 25 delicious pasta shapes to choose from, Perfetto gives you the chance to be creative in the kitchen.